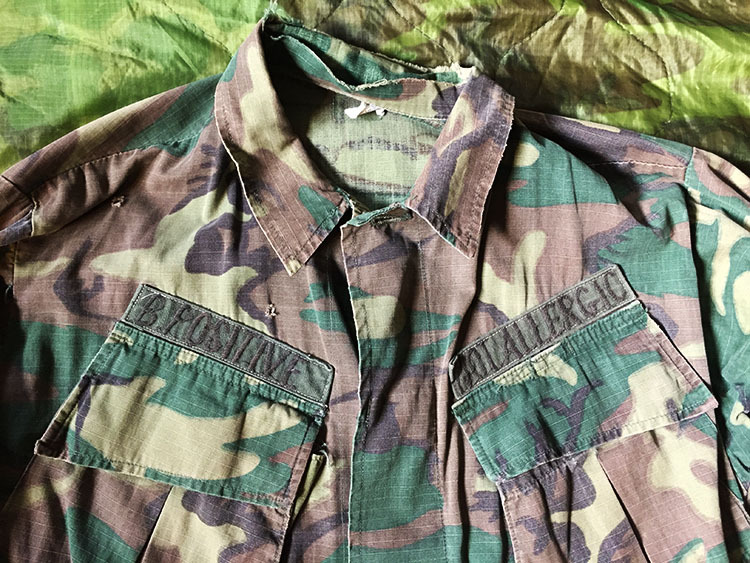 A nice example of a modified ERDL jacket, featuring Vietnamese produced B- Positive and Not Allergic nametapes. This was a common modification during the later Years of SOG involement in the Vietnam War. 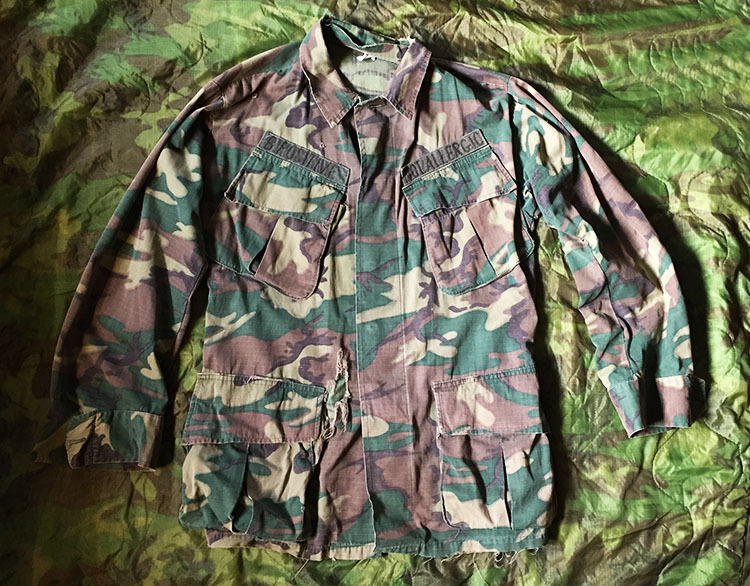 The jacket was found in a rag mill in LA by noted Vietnam Cammo collector Owen Thornton.